Gavi has released US$1 million towards deployment of the Ebola vaccine to the Democratic Republic of the Congo (DRC) to boost efforts to contain the disease. Gavi’s funding will support the deployment of health workers, transport, critical supplies and other operations. The vaccination will be implemented by the Government of DRC and partners including WHO, which is leading and coordinating the international health response, and Medecins Sans Frontieres (MSF). 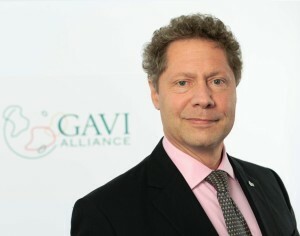 “Health workers will be the first to receive the vaccine today, as they are the ones most likely to be exposed to the Ebola virus,” said Dr Seth Berkley, CEO of Gavi, the Vaccine Alliance, said today during a visit to the country. Dr Berkley is visiting affected areas with the DRC Minister of Health Dr Oly Ilunga Kalenga, joining the vaccination teams as they begin their work. According to Dr Berkley, we all owe a debt of gratitude to the health workers risking their lives to prevent this disease from spreading further. More than 7,500 doses of the investigational vaccine, provided by Merck for compassionate use, have been delivered to DRC by the WHO, and will be used in affected areas in the northwest of the country where 46 suspected, probable and confirmed cases of Ebola and 26 deaths have been reported. A ring vaccination method – the same used to eradicate smallpox – will be used. This controls an outbreak by identifying and offering the vaccine to contacts and contacts of contacts of anyone who is likely to be infected by an individual who contracts Ebola. This forms a buffer of immune individuals to prevent the spread of the disease. “Since May 8, we have been in a state of war,” said DRC Minister of Health,Dr. Oly Ilunga Kalenga at the launch ceremony. “The whole world is watching us and vaccination comes at the right time to block the progression of the disease. I thank our partners WHO, UNICEF, MSF and Gavi who have supported us since day one. Having vaccines available so quickly was only possible thanks to their mobilization,” said Dr Kalenga. Dr Berkley assured that Clinical trials have shown that the Ebola vaccine is safe and highly effective. “We now hope that deploying the vaccine will give a vital boost to these efforts, helping to defeat this outbreak,” he said. The DRC government, alongside the WHO, MSF and others, are working hard to slow the spread of Ebola. In December 2016 WHO published the results from a ring vaccination trial held in Guinea, showing that the Ebola vaccine (rVSV-ZEBOV) provides substantial protection and is safe for use. Among the thousands of people who consented to be vaccinated, no cases of Ebola virus disease occurred 10 or more days after vaccination. The vaccine has gone through Phase 3 trials but has not yet been licensed by relevant regulatory authorities. While the vaccine goes through the licensing process, an agreement between Gavi and Merck, the developer of rVSV-ZEBOV, ensures that 300,000 investigational doses of the vaccine are available in case of an outbreak. It is these doses that will be used in the DRC. This agreement, an Advance Purchase Commitment announced in January 2016, is the first of its kind. It was designed to incentivise the rapid development of the vaccine as well as guarantee investigational doses are available while licensure is being secured. Gavi committed US$5 million to buy doses of a fully licensed vaccine as and when it becomes available. In return, Merck agreed to create the emergency stockpile.